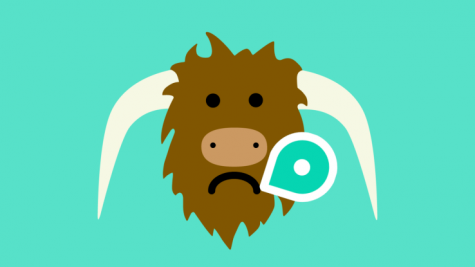 Just like Club Penguin, 2017 has decided to kill off yet another thing on the internet– Yik Yak. Yik Yak is an app where anyone can post anonymous messages that anyone nearby can see. It was originally made for university students in Atlanta, Georgia. The app became mainstream shortly after it was released, and became the 9th most downloaded app in the United States. As the app promises anonymity and a privacy with every message that is posted out onto the app, many issues of harassment and cyberbullying appeared. In response, many schools and universities pushed to ban Yik Yak; “Hate speech, not to be confused with free speech, has no place at Santa Clara University, because it violates the dignity and respect with which each member of our community is entitled to be treated.” Said Santa Clara University President Father Michael Engh upon hearing about people posting racist things on Yik Yak at Santa Clare University. “Hurtful comments directed at individuals or groups diminish us all and create a divisive atmosphere of distrust and suspicion.” After many more incident of cyberbullying happening on Yik Yak at schools, many people thought that it was time to do something about the app; “[Yik Yak] are like bathroom stalls without toilets.” Said a Huffington Post contributor Ryan Chapin. “They’re useless, they’re sources of unhelpful or harmful conversations, and they’re a complete eyesore.” To stop all of the controversy, the two creators of Yik Yak, Droll and Buffington put restrictions on the app so nobody can post if they are close to a school. Unfortunately for the founders of Yik Yak, this did not stop people from posting malicious things on the app. Less than a year after Yik Yak Was released, the app’s worth was already at $350 million, which broke the mold for social media applications. The app went into decline past 2014, because the founders of this social media platform put in some new features which included things such as usernames, pictures, and word filters. This turned a lot of people off from the app, and the social media giant slowly stopped being relevant. Times got rough down at the office for Yik Yak as people stopped using it, and the company was forced to lay off workers. On April 28th, 2017, the app announced that it would be shutting down. While Yik Yak still has a user base, there are many potential apps similar to Yik Yak that can be the application’s heir, as well as many people willing to buy Yik Yak and reboot it.